Upon graduating from law school, Michael initially worked as an associate for three years for the oldest law firm in Mercer County. In 1993 Michael and William Singer formed Singer & Fedun, their general practice firm in Montgomery Township, Somerset County. Michael’s practice includes representation of individuals, businesses and non-profits in transactions, business interactions and in courts throughout New Jersey. He brings twenty five years of experience to his hands on personal practice and provides effective representation of his clients, with an eye towards accessibility and cost-effective results. Michael maintains strong ties to his local and legal communities with involvement in civic organizations. He is currently the President of the Somerset County Bar Association. 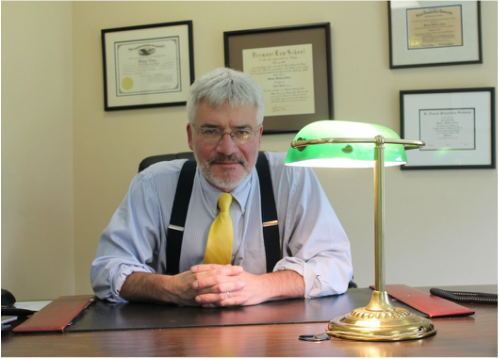 After including criminal defense as a significant portion of his practice for over twenty years, he served as Municipal Prosecutor in Franklin Township, Somerset County. Michael currently serves as a Municipal Court Judge in both Green Brook Township and the Borough of Bound Brook. He previously served as Municipal Court Judge in Franklin Township.